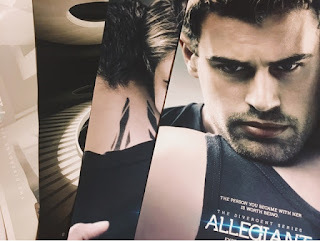 Two Chicks On Books: A Fandom Collide Giveaway! Hi everyone! I’m so happy to share this giveaway with you all! Not too long ago, Once Upon a Twilight turned 6! That’s a huge accomplishment in the blogaverse! And they wanted to share the love with other readers! 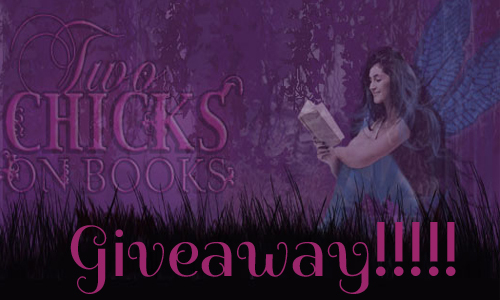 Today we're hosting this giveaway with, Once Upon A Twilight and also our close friends at ReadingTeen, so make sure to visit their blogs and share the love. Here’s a quick note from Once Upon A Twilight. Okay, off to the giveaway. As you all know, not only do we love to read but we love movies. We've been fortunate to received extra items for some book adaptions! One lucky reader will have the chance to win... ARE YOU READY? Allegiant shirt, hat, tattoos, and 4 movie posters. Mockingjay Part 2 shirt, pin, tattoos, and 2 movie posters. Two If I Stay movie posters & mini pad. 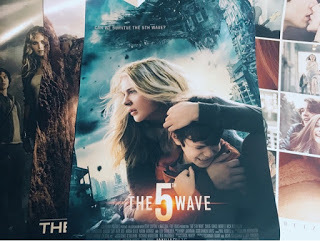 The 5th Wave, The Scorch Trials movie poster & The 100 poster. This giveaway is open international, however any giveaway account will be disqualified. All you need to do is enter the rafflecopter below. I am so so so excited for this giveaway, and I think the one thing that I am most looking forward to winning, if I was to win, would be the shirts! I'm excited about the movie posters. I love movie posters to decorate! The movie posters of course.